Nothing quite divides our cheese lovers as much a blue cheese. You either think you love it, or you think you hate it! 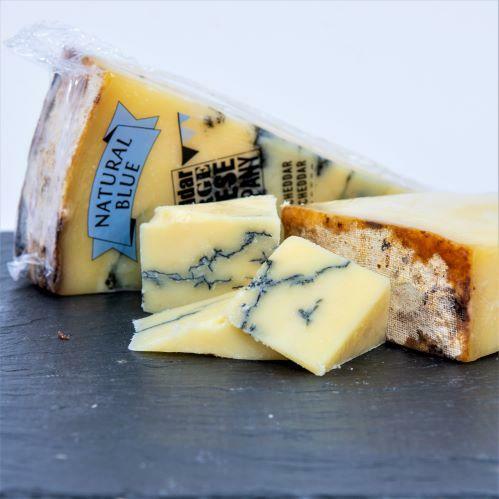 And then we add more confusion by claiming to have produced not just a blue, but a Natural Blue Cheddar - which is very different to a Blue Stilton, Gorgonzola or Roquefort cheese which are intentionally made with blue mould (such as Penicillium) where the blue veins dominate the cheese. We claim that this is blue cheese, for people who don’t think they like blue cheese! It is, in fact, all the result of a very happy accident. 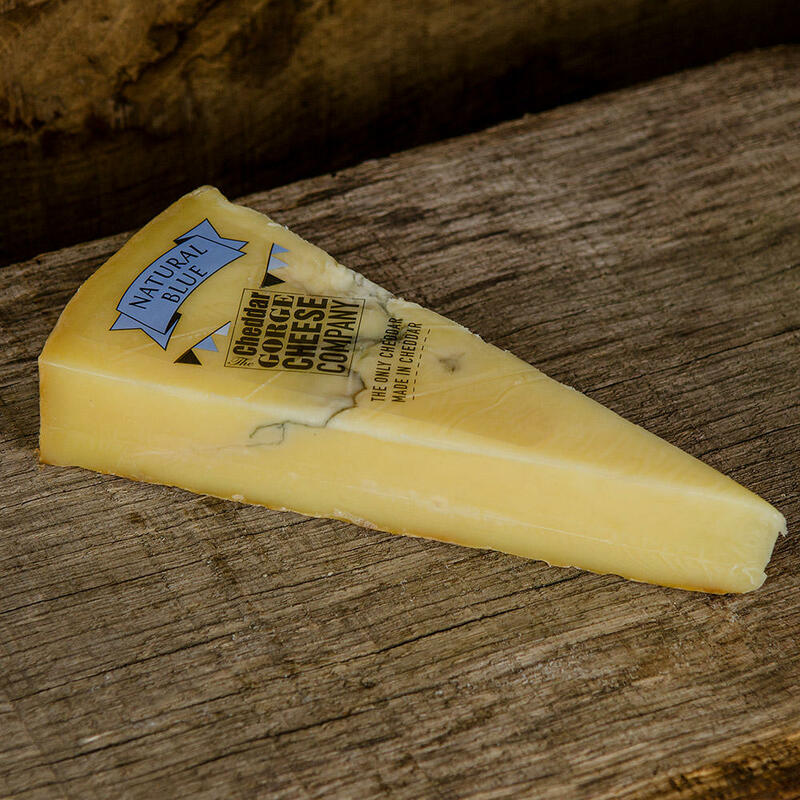 Occasionally a crack appears in the outside rind of a maturing cheddar allowing natural moulds to enter the body of the cheese. 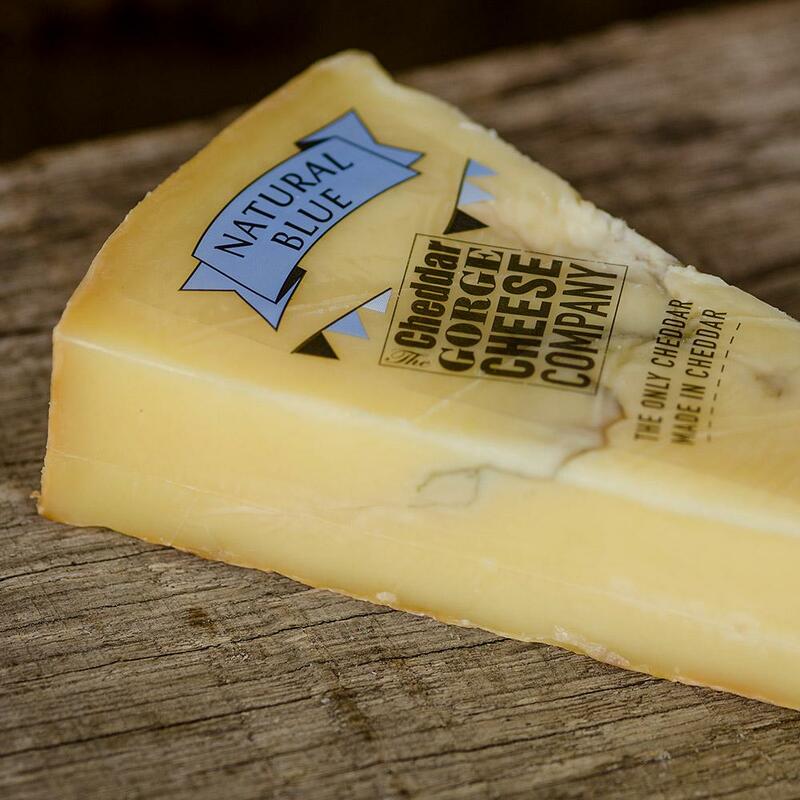 This results in the development of a gentle blue vein, giving the cheese a delicate ‘blue’ taste throughout. That lends this cheese a gorgeous subtlety - which has won it many fans. 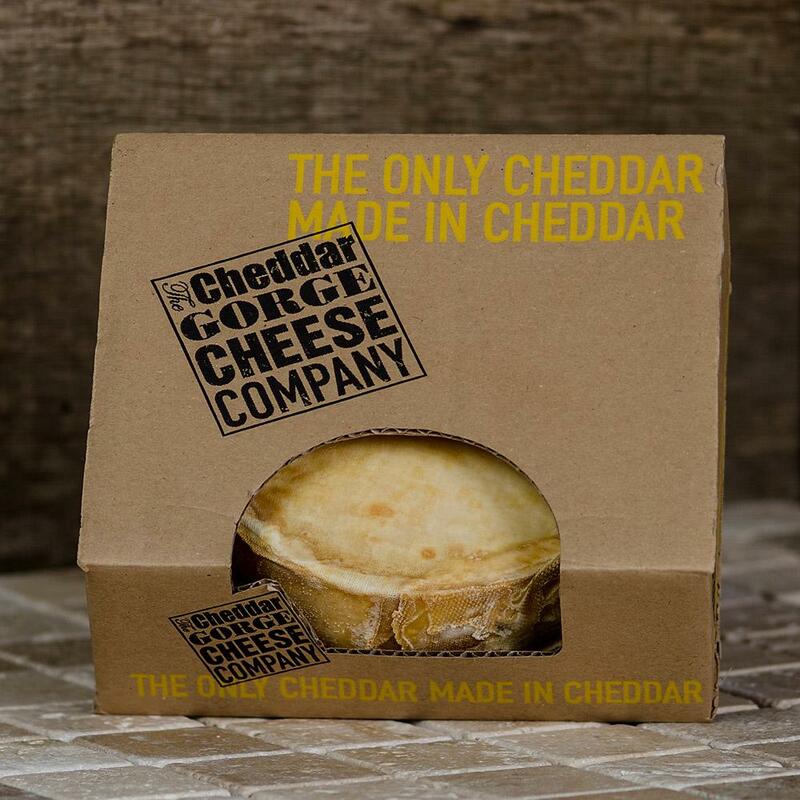 At its heart, it remains a classic cheddar. Truly, this was a very happy accident indeed! 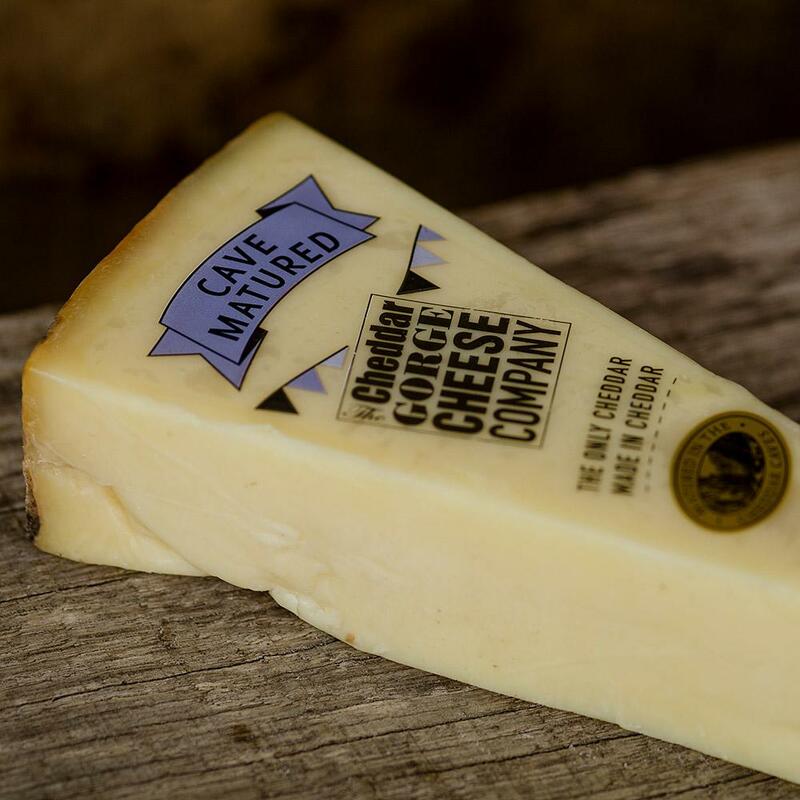 This is a smooth celebration of cheesemaking! Use and enjoy as you would any blue cheese. Sweeter wines or a Tawny Port would be a great match. A deep amber ale would also be an extremely good companion. Our online orders are packed, chilled and sent to you as quickly as possible with the best before dates allowing you plenty of time to enjoy your purchase. Our checkout is safe and secure, ensuring your peace of mind.